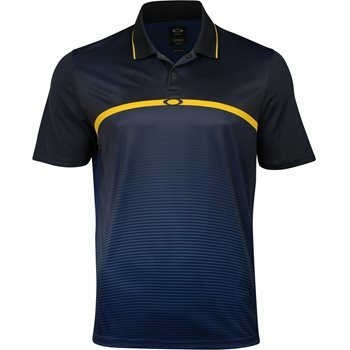 The Oakley Ellipse polo is designed with ellipse inspired graphic and a gradient sublimation effect. The polo features an engineered rib collar and placed stretch mesh for breathability and easy movement. The polyester fabric offers durability for machine washing and resistance against mildew, shrinking and wrinkles.